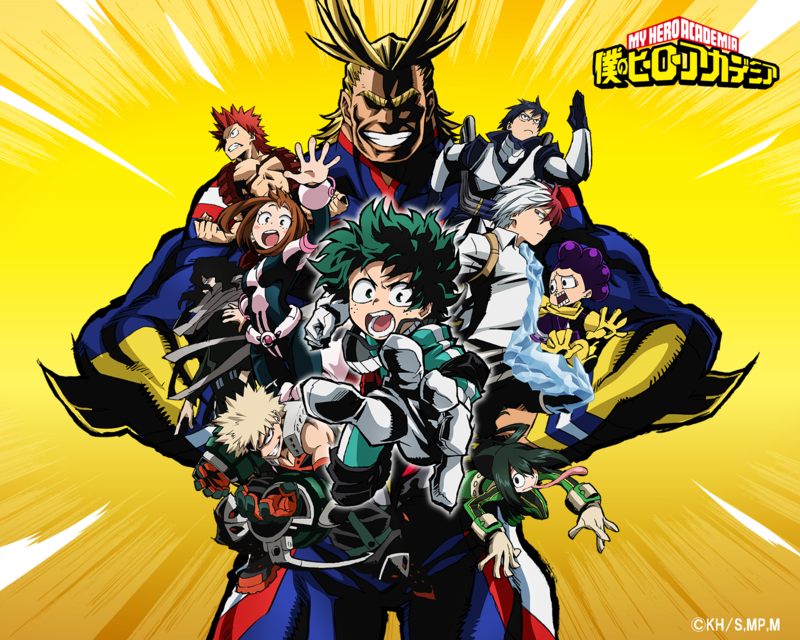 My Hero Academia and One Punch Man are popular shonen anime series with stories featuring worlds in which superheroes save people from villains and monsters. While the premises are undeniably similar, the execution of these ideas is wildly different, making the viewing experience for both of these shows very unique. Since there is only a single season of One Punch Man, I decided that a comparison to Season 1 of My Hero Academia would only be fair and keep things balanced. My Hero Academia revolves around a society in which superhero powers called Quirks have become commonplace, and in the wake of this, superheroes have become idolized, protecting people and upholding the law. Izuku Midoriya, commonly called Deku, dreams of becoming a hero like his idol All Might, and since he was born Quirkless, it drives him to work that much harder. After a chance encounter with All Might himself, Deku is eventually selected to become the inheritor of his power, All For One, and after months of training, Deku is accepted at UA academy and trains to become the best. Along the way, a villainous group is forming, and their ideologies clash with society in a fascinating way that challenges the very notion of what a hero is supposed to do and all of the hypocrisies associated with it. The story is quite good, balancing multiple plot lines and ideas with ease (although the frequent reliance on inner monologues to drive the story, and thereby the characters, is borderline too much), but the world building and character development really supports everything the story is working to convey. One Punch Man is a comedy action show that follows the adventures of Saitama, a man who has trained to become a superhero so powerful that he obliterates all of his enemies in a single punch. Beginning as a hobby, he became a hero for the fun of it, but is now bored with the monotony of it and is in search of new enemies to face. An android named Genos joins him in the pursuit of being trained to become as strong as him, much to Saitama’s chagrin, and eventually, the main arc is that he joins the Hero Association and tries to gain fame and popularity among the populace by rising through the ranks. The show doesn’t have much backstory for why the world is the way it is, which is fine, since it keeps the focus on the character’s misadventures than having a narrative built around the setting. While this makes the comedy very effective as well, it also makes it a little hard to watch because the story isn’t quite compelling enough to get behind, so My Hero Academia gets the point for having a stronger, layered story. Season 1 offers a more personal, character driven story that explores the emotions of these characters while their world slowly turns upside down. Season 2 has expanded on some of these character’s backstories (with Iida and Totoro having the best moments of that season), but in Season 1 has kept the focus where it should be, primarily on Deku and All Might’s dynamic. Their interactions are great and really support their character arcs in this first season as they both remind each other in different ways what it means to be a hero, and with the slow transition from the old generation to the new, this makes these ideologies that much more important. 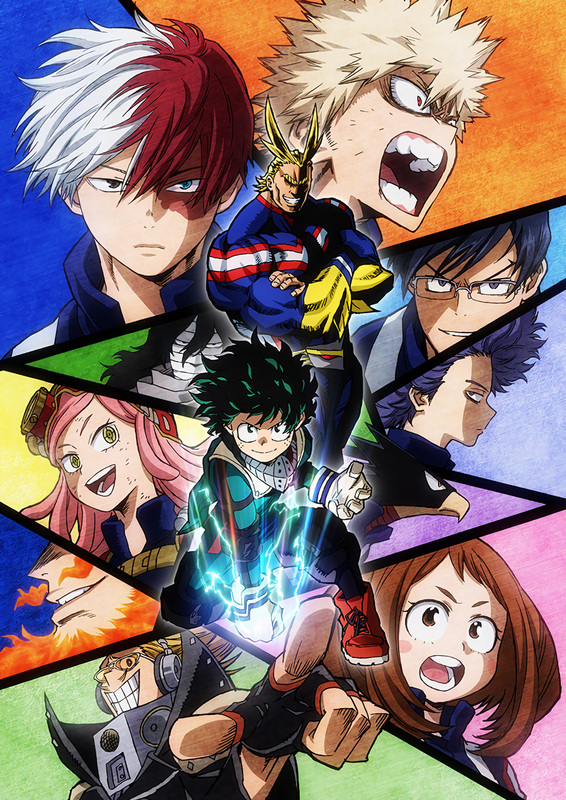 The cast is unique and colorful, and I especially like Deku, Todoroki in Season 2, and Eraserhead. One Punch Man’s Saitama doesn’t have a character arc revolving around becoming a hero like Deku, which allows One Punch Man to subvert tropes by having Saitama already at his maximum power, which provides a unique opportunity to have insight into a character that is so powerful to the point of boredom. Other cast members like Genos and Sonic are fun characters as well, and while the approach to the characters is interesting, there isn’t much in the way of meaningful character development. Saitama has his conflict of lost emotions in the first episode, but it falls out of the picture, so that potential arc ends up being pointless at the cost of defying expectations. So while the subversion is interesting, it does become old after awhile, especially since My Hero Academia also explores some of these ideas of impossible strength through All Might. While I recognize that the entirety of One Punch Man is meant to move away from conventional tropes and it’s appreciated, I don’t know if it can keep relying on trope subversion and comedy with impressive action sequences in order to have long-term staying power. For me, My Hero Academia gets my vote of having better characters because of their interesting, realistic, and flawed qualities. My Hero Academia resembles the manga in a lot of ways, with many scenes directly pulled from panels in the manga. It’s very entertaining to see these great character moments brought to life on the screen, and the mangaka’s art style translates to animation very nicely, particularly with all of the scenes revolving around All Might and his noticeably comic book-esque art style. This could have very easily clashed with the rest of the style of the show, but it all blends together to create a cohesive show. Colorful and vibrant, this show is very pretty to watch, and there aren’t too many dips in quality either. Both animation styles are incredibly fluid and exciting, and One Punch Man’s transition to anime is very impressive. The action is fast and frenetic, but it never suffers from a drop in quality either, and the art style remains consistent throughout the show. In addition, the art style for Saitama does a great job of being gritty and serious one moment before switching to comedic and goofy in an instant without looking out of place, making for some very well timed comedic moments, which helps it stand out more for being off the wall and a complete spectacle. While I found the animation for Eraser Head’s action choreography to be particularly well done in My Hero Academia, making it among one of my favorite fight sequences in Season One, there aren’t a lot of fast and fluid fight scenes in Season 1. This is partly due to the structure of the plot, as it doesn’t leave a lot of room for having high-stake fights. While there are some creative scenes in the finale during the fight scenes, they aren’t really flashy, and the scenes with excellent choreography are few and far between. It is, however, nice to see that the fighting styles of the characters are very often an extension of their personalities and Quirks, keeping the action engaging and diversified. One Punch Man is strictly an action show that serves to subvert expectations along the way, and while it gets boring to watch One Punch Man literally punch everything once and kill it, there’s at least a lot of time devoted to the supporting characters and showing off their skills and fighting prowess as well (Dragon Ball Super, take notes), and because of the sheer number of action scenes and how they continuously impress, One Punch Man wins having the best fight sequences as a whole, although Eraserhead’s fight is my favorite between the two shows. Overall, these are both groundbreaking shows that I enjoyed and would recommend anime fans watch, but for different reasons. 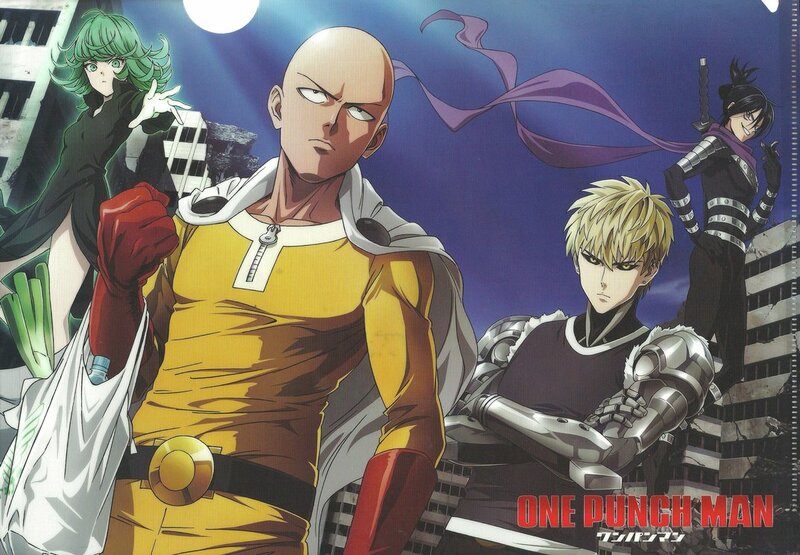 For fans who are looking for a completely new experience that challenges the tropes of the superhero genre, One Punch Man has the comedy and action to keep you entertained. But for fans looking for a mature storytelling experience with comedy moments sprinkled throughout and an emphasis on character development and how society functions in a world of superhero culture, My Hero Academia is for you. Personally, I like My Hero Academia more for the time it takes to develop the ideas of a society that revolves around superheroes, incorporating them into the structure of everyday life and exploring how this affects people. Because of this, My Hero Academia has more going for it and I’m looking forward to seeing how the story continues to develop in Season 3. I’m also really looking forward to the third season of My Hero Academia. So far the show has done a great job of developing its cast and it will be great to see where they go next. The show’s story is also becoming really interesting to so I can’t wait to see more of it!